Dioramas and duels are always cool. They force an element of conversion into the piece to ensure the most dynamic finished display. 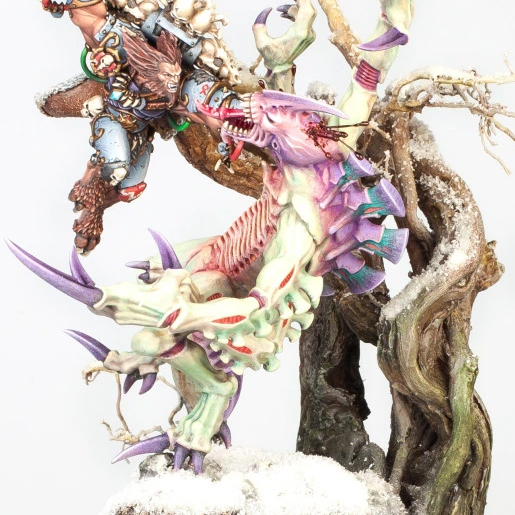 The movement in this one really conveys the momentum of the Wulfen crashing into the Genestealer. The fact that there's blood spray coming off of the tyranid makes it feel real as well. What I like the most on it though are the colors. 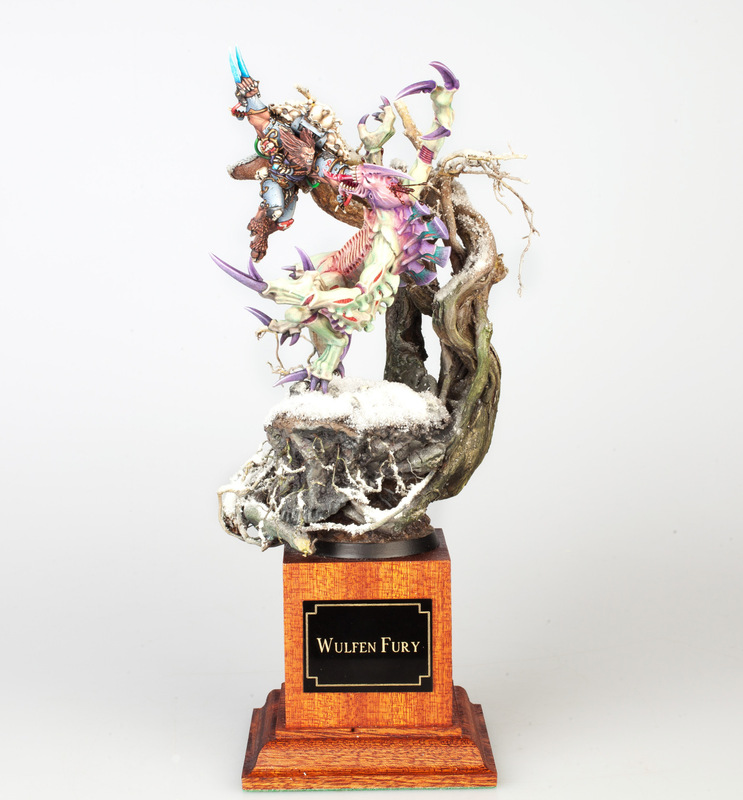 The Wulfen is pretty standard, but the Genestealer is something you don't see often. The pale, pastel greens, purple, pinks, and blues blending into the off-white color of the skin is really eye grabbing. It definitely make it feel very alien, and is also very unique. All of the painting on this is as smooth and crisp as you would expect from a model that won at the Golden Demons. The base is nice and restrained, letting your eyes focus on the melee, while still giving a sense of space and story. Be sure to check out more views of it on the official Golden Demon website!